Morhaime: "I stopped predicting subscriber numbers a long time ago"
Launching in the last 24 hours, Mists of Pandaria is the latest expansion for Blizzard's all-conquering MMO World of Warcraft. Subscriber numbers may have stumbled in recent months, but new content for the game will no doubt spike figures back up for the rest of the year, as the Blizzard team continues to support the nine year-old game. Here, in an exclusive interview at the US launch of Mists of Pandaria, president and co-founder of Blizzard Mike Morhaime talks to GamesIndustry International about the latest update, how the company has learnt from the launch of Cataclysm and Diablo III and his thoughts on the growth of e-sports and tablets as gaming hardware. Q: One of the things you've said before about expansions is that you hope to get them out more rapidly. Do you think you're making progress in that direction? "One of the things with Cataclysm that I don't think we got right was the difficulty curve. A lot of people hit a wall and found it frustrating"
Mike Morhaime: That's something we still talk a lot about at Blizzard - how do we make content faster? But we have to balance that with the quality side of the equation. We would have liked to have released Mists of Pandaria a little bit earlier but there were certain things about it that we wanted to spend some more time on. So we'll try again next time. Q: One of the issues with Cataclysm was you said that people went through the content faster than you expected. Do you anticipate players taking longer with Mists of Pandaria? Mike Morhaime:One of the things with Cataclysm that I don't think we got right was the difficulty curve. A lot of people hit a wall and found it frustrating. We made some adjustments over time but probably not quickly enough. There's a lot more variety of things to do with Mists of Pandaria. We spent a lot of our development time in Cataclysm overhauling the old world of the game and a lot of people didn't even experience some of the changes we made going right to the end game. Pandamonium: Last night's launch in London attracted hundreds of players. 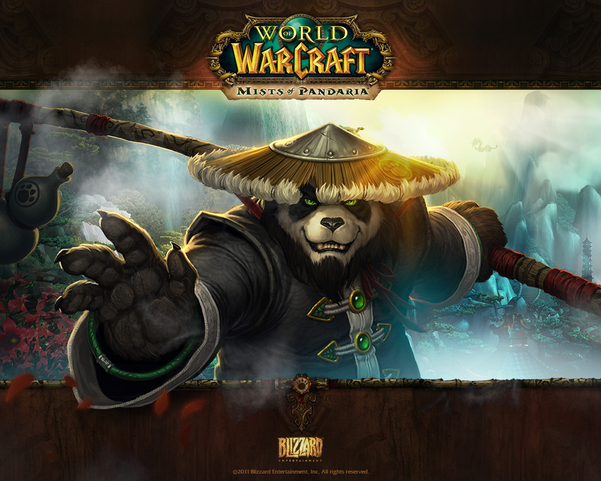 Q: Are you hoping to get new players in - attract a broader audience with Mists of Pandaria? Mike Morhaime: Yes, actually. We think there's a lot in this expansion. And we've been evolving World of Warcraft over time to make it more accessible to new players. The most important thing for us is to make something that's appealing to our current players. Hopefully we'll win back some players that may have left. And if people enjoy it enough I think they'll tell their friends. Q: There has been a continuing decline in the World of Warcraft subscriber level. Do you hope Mists of Pandaria will reverse that curve? Mike Morhaime: I stopped predicting subscriber numbers a long time ago, especially publicly. I think we've got a very solid expansion here and looking forward to hearing what our players think. Q: Looking at Star Wars: The Old Republic and how that game went from subscription to free-to-play in months, do you think that was that something they did wrong or was it market conditions - and does that tell you anything about the future of World of Warcraft? Mike Morhaime: It's something that a lot of MMOs struggle with. Probably if they had to do it over again they might have held the game over and worked on the end game content a bit more. One of the things people will notice with Mists of Pandaria in comparison to our other expansions is the variety of things there are to do; it will feel like a bigger, meatier expansion compared to Cataclysm. 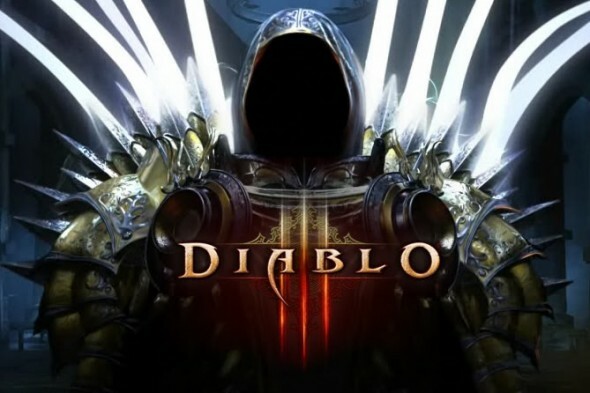 Diablo III: 3.5 million sales in 24 hours. Q: With Diablo III there were some issues with balance, with PvP being delayed, with the auction house - would you redo that launch if you could? Mike Morhaime: Oh, there are definitely things we would do differently. It would be so helpful in advance to know how many people are going to want to play a game. Because we could plan things out a lot better: we can make sure we have enough capacity, we can buy the hardware that we need. The Diablo III launch exceeded out forecasts by an order of magnitude; we were very far off. We outsold our full-year forecast in the matter of a week. "If they had to do it over again they might have held the game over and worked on the end game content a bit more"
I have to give our team some credit because they scrambled really quickly and they were able to increase capacity everywhere within a couple of weeks. But the first couple of weeks were a little bit painful and so I would love to do that over again. Q: The interesting thing about Diablo III was you had announced a specific ship date very far in advance, which is completely unlike any other launch you've done. And earlier in the year you tore the guts out of the stats system. As an RPG designer I realise how difficult that is. Did that all make it harder to get the Diablo III launch out? Mike Morhaime: I felt like we gave ourselves enough time in terms of the things we could test and the things that were feasible to test. We can't know how many people are going to come out and want to play. We ran an open beta where we let anyone in the world in who wanted to play the game for free for a weekend. But a lot of people were waiting for the release of the game so we really didn't have the indication that our forecasts would be off by so much. Q: In terms of how people are playing their content, are you seeing a lot of multiplayer or is it single player experiences with Diablo III? Mike Morhaime: I don't think the ratio has changed all that much in the past couple of months. Q: Do you think the future of gaming is multiplayer rather than single player? Is multiplayer where the market is headed? Mike Morhaime: We think the social aspects of gaming are really important, being able to share your experience with someone else. Even if you're soloing and not actually going through a dungeon with your friends, to be able to share that experience, to be online, to chat together, I think it adds dimension to the game. And that's important. Q: Activision is in the process of setting up a whole division on mobile and tablets. Do you see a future on tablets for Blizzard's titles? Mike Morhaime: We're big fans of tablets as a gaming platform so I'm really excited about tablets; they're going to become more and more popular. For us it's just a matter of when we make a game, looking at what are the most appropriate platforms for that game. We'll have to play it by ear but we're definitely looking at that as a viable gaming platform for the future. WoW: Cataclysm: 4.7 million sales in its first month. Mike Morhaime: We need a lot of stuff. We need screen real estate, we need storage, we need memory, we need bandwidth. Q: E-sports have become incredibly popular and Starcraft has become immense, particularly in South Korea. Do you see Blizzard doing more in e-sports with other titles? Mike Morhaime: It depends on the title. When it comes to e-sports Starcraft is in a category of its own. The game is so fun to watch, it's so well balanced and the strategies are so deep. There are other opportunities - we're working on Blizzard All-Stars which has the potential to be a fun spectator sport and fun to play. We're ready to support it as an e-sport. "It would be so helpful in advance to know how many people are going to want to play a game. The Diablo III launch exceeded out forecasts by an order of magnitude, we were very far off"
Q: Has it surprised you how big Starcraft as an e-sport is? Mike Morhaime: I'm a big fan of Starcraft as an e-sport so I can't say it's surprised me so much. When we designed it we made sure the races were well balanced, we added in features to the observer mode to make it more watchable. Q: You've announced you're working on Titan at the same time as you're working on other projects. Is that a strain on resources? Mike Morhaime: We always have to manage multiple projects and various resources; it's just something we've always had to do. We've been able to scale up our development capacity over the years to the point where we have multiple teams that are strong and independent and working on multiple projects. This year is a great example with multiple games coming out. People will see with Mists of Pandaria that the World of Warcraft team is doing some of the best work it's ever done.